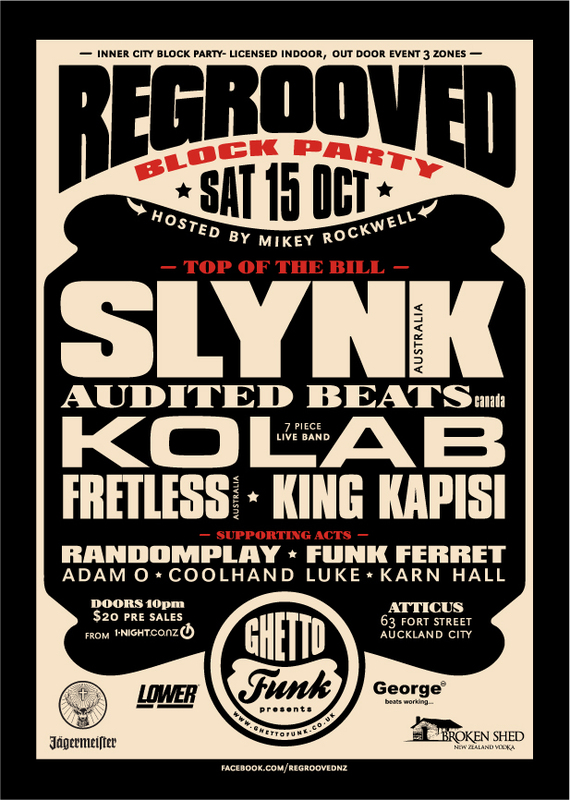 The worldwide multi genre funk based club night is returning to Auckland on October 15th for one massive event The REGROOVED Block Party which is also the closing party for the 2011 Basement Festival. The event will see one of Australia’s best Party Dj & Producer SLYNK, Veteran of the Australian Dance Music scene Mark Walton Aka Fretless, Kiwi hip Hop icons KOLAB who will be performing live with their 7 piece live band, and also King Kapisi. arrrrr yeah i cant wait to drop the new album at this gig….sweet azzzzz.